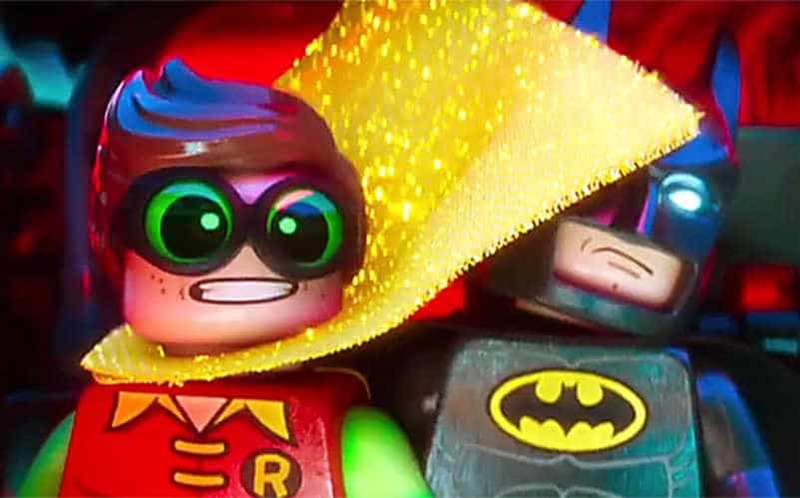 WATCH: The Lego Batman Movie Trailer Features Bat Family | Nerd Much? The Lego Batman Movie trailer has landed and we finally get a better sense of what the movie will be about. In essence, Batman wants a family, and The Joker is sad. To be more specific, The Lego Batman Movie trailer reveals that Alfred thinks Batman needs a family. Apparently he adopted a small boy and it is time that he takes responsibility for this action. Of course this means the fun (and slightly creepy) Robin. The animated movie is a spin-off of 2014’s The Lego Movie. Will Arnett will once again be playing the caped crusader. Robin is played by Michael Cera and Batgirl is portrayed by Rosario Dawson. Some of the other cast members include Ralph Fiennes as Alfred, Zach Galifianakis as The Joker, and Mariah Carey as Gotham’s mayor. In case you missed it at the end of The Lego Batman Movie trailer, it will release in theaters on February 10, 2017. If you are holding out for The Lego Movie 2, get ready to wait awhile. The sequel is in production, but it isn’t scheduled for release until February 2019. We have high hopes for the upcoming spin-off. For the latest info before release, you all know where to look.